Every actor must begin somewhere. For Penelope Cruz, that somewhere happened to a movie called Jamón, jamón. That's not a knock against the film. For all I know, it could be a masterpiece. 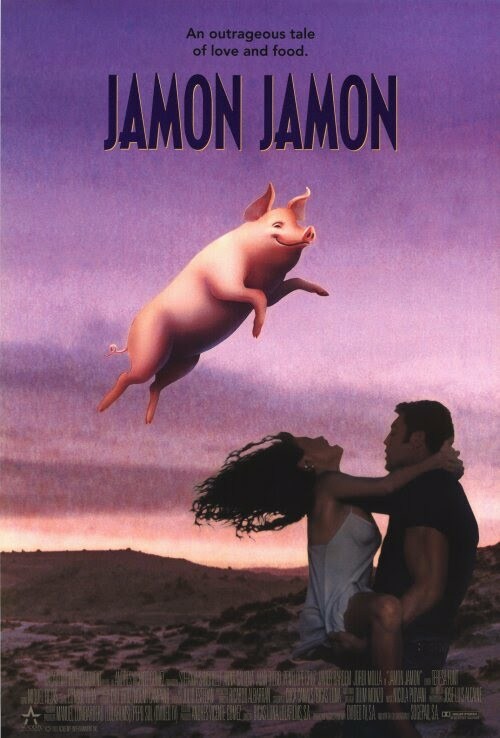 But please just consider this poster --- the gleeful cartoon pig, the prominent text that translates as "Ham, ham," the sexual embrace with her eventual husband, Javier Bardem --- and ponder the meaning of it all. I truly hope a framed version of this hangs somewhere in the Bardem-Cruz home.